The squeaky wheel gets the grease. I absolutely abhor that statement. I hate every part of that meaning, that the loudest gets the attention. I hate that people spin it to be a positive thing or that one should work toward being such a person. Throughout my lifetime, I have observed many squeakers. They have taken away jobs from those who rightfully earned it. I have seen deserving children cast aside as the squeakiest parents get their way. Volunteers who have not been properly acknowledged and witnessed much catering to and action when in fact the customer was not right. I get a pit in my stomach when I see events when squeakers just stroke each others egos, a big clusterf*ck of self love. I have been taught and will continue to teach my children that one must keep their head down, work hard and to simply block out all the squeaky noisemakers but also not to allow oneself to be disrespectfully cast aside when a genuine moment presents itself. But I admit, even with humility and humble upbringing, it is hard to wade through it at times. For every moment to a squeaker, one should commend two unsung heroes, in my honest opinion. 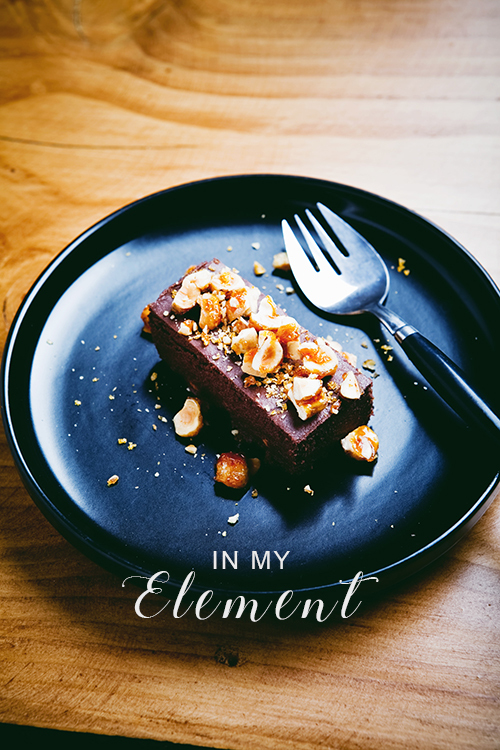 This recipe, Chocolate Torta with Salty Candied Hazelnuts created by Edmonton's Corso 32 restaurant, seems to resonate my reflections of late. An unassuming recipe, with simple, no "bells and whistles", ingredients combined together to give an outcome that shines with every bite with nary a whiff of arrogance. And it is nice to see accolades given rightfully so.